The Bajrang Dal in Hyderabad intends to take out rallies and protests before shops, offices and pubs in the city that are celebrating Valentine’s day on Thursday. The Hyderabad city police say they have deployed sufficient forces to ensure no untoward incident happens in the city due to Bajrang Dal’s protest. 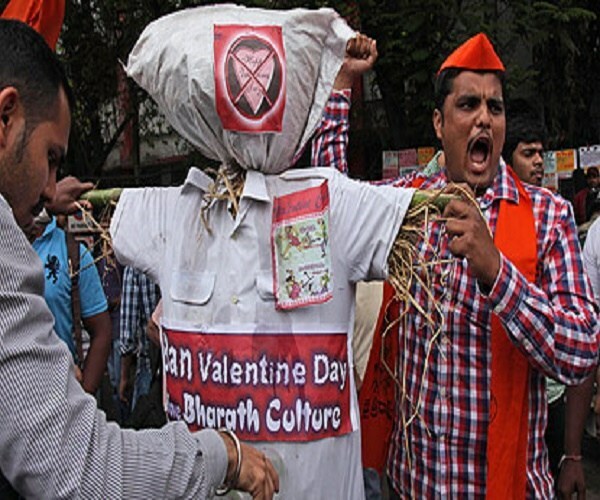 Like clockwork, every year, the Bajrang Dal, the youth wing of the Vishva Hindu Parishad (VHP) and part of the RSS family, comes out in protest against those celebrating Valentine’s day. This year is no different. 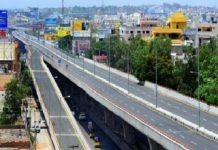 The organisation claims they have readied over 30 teams across the state to keep vigil over young couples out on a date on Valentine’s day in Hyderabad alone. The group claims they will enforce this vigil statewide. Apart from keeping watch at public parks and shopping malls, the group this year will protest before offices in the city that celebrate the day. The group claims they are against the commercialization of love by private companies for profit making. ALSO READ: Will 'Kapu' Votes Get Divided Between Chandrababu Naidu And Pawan Kalyan In Andhra Pradesh Elections? Subash Chandra, the State Convener for Bajrang Dal in Telangana told #KhabarLive that the commercialization of love leads to youth in the country getting corrupted and is affecting the growth of the country. “Don’t do any programmes in the name of Valentine’s day. Pubs and malls will give offers to attract couples. These people are doing this to spoil our culture and tradition. They are doing this for money, all the youth who go to pubs, they take drugs, drink and get corrupted and it affects the growth of our country. In the name of selling goods, they created this Valentine’s day,” added Chandra. Each team that will be out scouting for couples and protesting at preplanned locations could be sized anywhere between 50 to 100 people. In 2018, Bajrang Dal activists had barged into Manjeera mall in the city and vandalised it. “We will take out bike rallies, we will burn effigies in the street,” says Chandra who said there was nothing wrong in breaking law and order as he was doing this for the society. If couples are found together the group won’t be marrying them off, instead, “We will make the couples call their parents and tell them what their children are up to,” he claimed. The Hyderabad police, however, say they are ready to face these protests. “We are aware of their plans and we have beefed up security. Our people will be there everywhere,” said DS Chauhan, Additional Commissioner of Police, (Law and Order), “No one in society accepts vulgarity and if there is any breach of decency and Law, Police will take action, but interfering with people’s free will is not correct. Taking the law into own hands is not correct and shall not be tolerated,” he added.